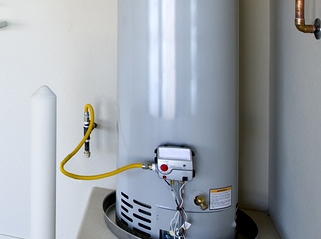 Signs to Look Out for a Water Heater Replacement in Phoenix, AZ. Home appliances breakdown from time to time due to little or no maintenance. A water heater is an example of such an appliance. As a homeowner, water heater is an essential appliance and you should look out for the following signs for its replacement. An efficient water heater should reach optimum temperature during its operation. It therefore should not be too nor too cold. A cold shower is an obvious reason that the water heater is broken and requires repair or replacement. On the other hand, if the appliance produces extremely hot water, its sensor may be broken and need to be repaired. Sometimes, repairing a water heater can cost you a lot of money prompting most homeowners to go for a water heater replacement in Phoenix, AZ. A good water heater should not leak at all. If the tank is leaking, replace or repair the tank to avoid further damages such as flooding or fire. Also, you may have mold and mildew growth I your house because moisture facilitates growth of molds which could eventually affect your health by causing allergic infections. Ideally, water heaters produce sounds when heating water but you should not hear strange sounds such as banging or creaking. Unusual sounds from your water heater is a sign that there is build-up of sediments in the water tank that are blocking the outlet valve. This reduces the efficiency of the water heater and the only solution is flushing the tank or replacing the tank altogether.